Hudson's Bay has Flash Sales everyday! 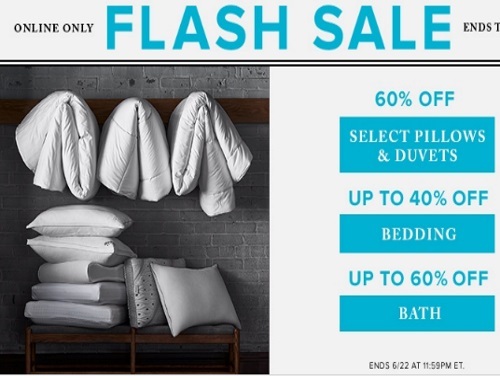 Today's offer is 60% off select pillows and duvets, up to 40% off bedding and up to 60% off bath. Offer is valid online only until 11:59pm ET tonight.